This is the title of the book which Dr Hulda Regehr Clark, Ph.D., N.D. wrote. 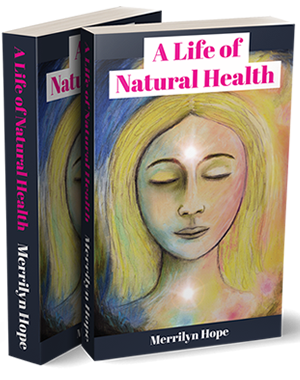 In this book she gives the details of her tried alternative cancer cure, which uses just three herbs for treating cancer. She has successfully used this herbal treatment over a period of many years. Her recipe of wormwood or artemisia, cloves, and tincture made from black walnut hulls, is a traditional herbal mixture which Percy Weston mentions in his book. Of course, Dr Clark recommends certain dietary changes, as well as lifestyle changes, and gives a list of numerous cancer-inducing chemicals which must also be avoided to combat cancer. Dr Clark has observed parasites of many varieties in the livers and intestines of all her cancer patients. She has also found isopropanol present in the livers of all the people she has treated for cancer. This chemical, which is found in cleaning fluids, cooling agents and some cosmetics, has an affinity for a common parasite which favours cancerous conditions, the Fasciolopsis buskii. This is a leaf-shaped intestinal worm, or fluke. This parasite can cause such conditions as Crohn’s Disease, irritable bowel syndrome, colitis, and cancer, according to Dr Clark. She maintains that if you get rid of this parasite, then you will get rid of cancer. Walter Last had a similar belief: that it was an organism thriving in the intestines which was causing many health problems, including cancer. The herbs which Dr Clark uses can cure cancer parasites within five or six days. Continued treatment reduces cancer tumours, and also kills off other unwanted organisms which can take hold in the human body. ‘Cancer can now be cured, not just treated’, she claims. She feels so confident of her method in curing cancer, that she warns against surgery to have organs removed, ‘because you just might need them when you recover’, she says. Dr Gerson had the same approach in keeping the vital organs. He refused to treat people who had undergone chemotherapy or radiation, as this damaged the organs and reduced the likelihood of recovery. Surgery, radiation, and chemotherapy are all best avoided if you opt for a recovery using natural methods. There are several well-tried and proven alternative therapies for treating cancer. Dr Hulga’s is just one of them. I am well-acquainted with Dr Gerson’s castor oil-enema-diet method for curing cancer, as well as those variations used by Walter Last, Dr Ann Wigmore, and New Zealand’s own natural-cure doctor, Dr Eva Hill. Then there are all those practitioners of the Vitamin C Megadose and Laetrile treatments who have had amazing successes: Read the later chapter on Vitamin C and Cancer. Dr Hulga’s cancer treatment is not one I have personally tried, but there is no doubt as to the efficacy of her method, since she has used it successfully over many years in her clinic. I give it to you because of its simplicity. The method is straight-forward and easy to understand, and it does not require that you purchase any strange or relatively unknown expensive herbs, or attempt any difficult procedures which some other treatments demand. It might be just the thing for people who are not familiar with alternative therapies for cancer and other diseases. So – if you are contemplating surgery for cancer, then I would urge you to postpone the surgery, talk to your health professional about trying her method for a month, and then go back for a check-up to see if your cancer has reduced in size. Then you might have a better idea about whether you should take that surgery or not. Once your organs have gone, they have gone for good – or for bad, really. If there IS a way you can keep them, why not put in the time and effort to give it a go? Quite recently, my sister’s friend was diagnosed with optic nerve cancer. She was told by a specialist at the Auckland Hospital that she would need to have her eye removed within a month. She hated this idea, and went on her own programme of herbal treatment, with dietary changes and meditation, and now, only 2 months after beginning her own health regime, the eye cancer has reduced from 5.2mm to 3.6mm – all in the space of two months. 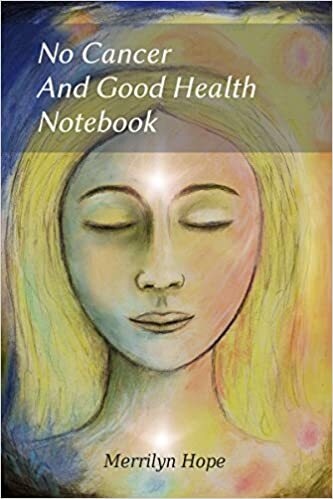 Dr Hulga Regehr Clark, Ph.D., N.D., includes 100 case histories in her book which illustrate its effectiveness. She includes a list of carcinogenic chemicals which you need to avoid in order to recover and stay well, and foods to avoid as well. Dr Hulga waited until she had one hundred successful cancer case histories to report before publishing this book in 1993. She has since written another book entitled “The Cure For HIV and AIDS”. The treatment is comprised of Black Walnut tincture, Wormwood combination capsules, and Cloves. All of these herbs are used every day for around three months. But each herb has a different dose, and is introduced in graduated doses, so read this carefully, and be sure to follow the instructions correctly. On the first day of treatment, take just one drop of black walnut tincture. Repeat the dose of one drop four times during the day, just for the first day. It can be taken at anytime, morning or afternoon. Just divide the doses up so that they are spaced at least an hour apart. Dr Hulga Clark advises to take the tincture half an hour before meals. It can be added to any healthful drink. Over the next three months, while doing this herbal treatment for cancer, avoid the use of coffee, tea or alcohol. On the second day of treatment, the dose is increased to two drops of black walnut tincture, which is taken four times during the day as before. On the third day of treatment, the dose is increased to three drops of black walnut tincture. As before, the same dose is repeated four times during the day. Keep on increasing the dose by one drop per day. Whatever you have increased the dose to, it is repeated four times daily as above, until you have reached 20 drops of black walnut being taken four times during the day. It is very important to increase the dosage gradually, increasing by one drop per day as per instruction above. Do not be tempted to take a shortcut by skipping the graduations and using a large dose of black walnut to start with. This would shock your liver and your heart, and undoubtedly have an adverse effect. When you have gradually increased the dose up to 20 drops per day, the dose is immediately reduced the following day. You keep taking 20 drops in one go, one dose of 20 drops, but you use it only once a day. From now on, only one dose is taken daily, using 20 drops of black walnut tincture to be taken in the one dose. This one dose is repeated daily for a period of three months. On the first day of treatment, as well as the specific dosage for black walnut as outlined above: Take just one capsule of wormwood with a glass of water before the evening meal. On the second day of treatment, double the dose of wormwood to just two capsules before the evening meal. Keep taking the black walnut tincture as described above. On the third day of treatment, increase the wormwood capsules to one dose of three capsules, taken all in one dose, just before the evening meal. The dose of wormwood is gradually increased by one capsule per day until you are up to 14 capsules per day, which are still taken altogether just before teatime. By this time, concurrent with the wormwood treatment, you will also be taking just the one dose of the black walnut tincture each day. When you have reached 14 capsules of wormwood, continue with 14 capsules for just two more days, one dose of 14 capsules each day before tea. At this point, the dose is suddenly dropped to a twice-weekly dose: 14 capsules, which are still taken altogether in the one dose, are taken only twice a week. Leave a space of three or four days before taking the second dose of 14 capsules. From now on, you take keep taking the Wormwood twice a week indefinitely, using the same dose of 14 capsules which are taken altogether . Continuing this dose permanently prohibits parasites from re-entering your digestive system and vital organs. 3) The Third Herb is Cloves. On the first day of treatment, just one capsule of cloves is taken three times a day before meals. Double the dose of cloves on the second day to two capsules. You will take two capsules on the second day of cloves three times a day, one dose before each meal. On the third day, increase the dose to three capsules, which will be taken before each meal: THREE capsules taken three times a day. You will continue to take the specified doses of black walnut and wormwood as well, as described earlier. For the next week, up until the tenth day, take the three capsules of clove powder three times a day, that is, three capsules before each meal, every day until day you reach day ten. On day ten, the dose is REDUCED dramatically: You will take only ONE DOSE of clove powder capsules, using THREE capsules per day. No more change to the clove routine for another three months: keep taking just three capsules per day, in the one dose before tea, for THREE months. After three months have passed, reduce the dose of clove capsules to 3 capsules taken just twice a week. Select two days of the week for the taking of your clove capsules, for example, three capsules taken every Monday, and again three capsules taken every Friday. Dr Hulga Clark recommends that you continue taking 3 capsules of cloves twice a week ‘forever’, as well as the wormwood. This ongoing treatment kills off shigella and all other pathogenic organisms, and will prevent cancer-causing parasites from re-infesting your body ever again. Castor Oil, extracted from Ricinus Communis, is a Miracle Healer. In the West, we use only the Castor Oil which has been extracted from the raw bean. The plant itself is extremely poisonous and must never be used internally. But in many parts of the world, the plant is used as an external treatment for certain ailments, most notably for problems of the chest and lungs. John Heinerman, in ‘Miracle Healing Herbs’, reports that a traditional Italian remedy uses castor bean leaves splashed with vinegar, applied externally, for the treatment of chest inflammation. In parts of Africa and the Ivory Coast, a similar method is used for pneumonia and fevers: The body is rubbed over with Castor Bean leaves to relieve these problems. The leaves, according to research documented by the ‘Journal of Ethnopharmacology’, (5:117-37, 1982), see Heinerman, contain components which have been proven effective against Mycobacterium tuberculosis and Aspergillus niger, which are thought to be the cause of some respiratory infections. This would explain why rubbing the leaves of the Castor Bean tree on and around the chest could be an effective herbal remedy for treating lung infections: The active ingredients from the leaves are absorbed through the skin to deal with the infection. In Haiti, orange leaves are infused in Castor Oil for treating bronchitis. Heinerman does not tell us how this is used, but I should think it would be applied externally to the chest. Oral Castor Oil Treatment For Cancer and other Degenerative Disease: Castor Oil, taken internally, has been extensively used in the treatment of cancer. Dr Max Gerson made famous the Castor Oil treatment for cancer and other diseases, such as arthritis and diseases of the nervous system. Castor Oil, taken in a 2 tablespoon dose every second day, was a major component of his cancer therapy, along with daily enemas and an almost all raw-food diet. Gall Stones can be removed with diet in conjunction with Castor Oil therapy. see posts below. The Castor Oil Pack is a widely used remedy which can help with a variety of health problems. It helps improve digestion greatly, and will help bowel function, when the pack is left on the stomach overnight. The castor oil pack is invaluable for people recovering from cancer and other degenerative diseases. It can also help to reduce cancerous growths, in combination with a regenerative diet and programme. The pack is generally left on for three nights in a row, then left off for three nights. This routine can be followed indefinitely. Candida Treatment: Castor Oil treatments can help get rid of yeast infections. It helps to restore the beneficial organisms in the bowel, whilst controlling the less desirable ones, such as candida albicans. For Constipation, Castor Oil offers a speedy cure. It is an effective and very efficient laxative which clears the bowel of effete matter, including intestinal worms. Castor Oil eliminates toxins from the liver, and flushes out the gall bladder. The liver treatment is very important in curing degenerative diseases such as cancer. Castor Oil has the capacity to draw out poisons from the body, wherever they may be. Elements of the castor oil get transported through the blood into every tissue of the body, where it will do its work or repair. Castor oil, according to the Spiritual Medium and Healer, Edgar Cayce, helps with the distribution of nutrients throughout the body. This is one main reason why it is such a valuable remedy for all sorts of maladies, including cancer and other serious ailments. Skin Tonic: The skin benefits from the occasional, or regular, use of Castor Oil taken internally. The oil can also be applied directly to the skin as a cosmetic aid, or for the treatment of viral skin infections and cold sores of the herpes variety. Castor Oil For Improving Eyesight: Even the eyes benefit from the use of Castor Oil. Taken orally, and applied externally to the eyes on a regular basis, minor cataracts and other lesions can be dissolved, and dim eyesight can be improved. Of course, the efficacy of the treatment will be affected by the diet. Plenty of Lutein-rich foods will be a good idea. Castor Oil can even help with serious weight loss. Taken once a week for several weeks, it can help in weight loss because of its ability to clear out toxins, which results in better assimilation of nutrients from your food. Better assimilation of food can reduce the desire for unnecessary eating. Castor Oil can be used as a lubricant for steel in the absence of petroleum oils. It can be applied to rakes, spades, and other tools to help prevent them rusting.